One time a couple years ago, I almost made my goal of a sub 30 5k. I was being a big baby because I missed it by 28 seconds. Then out of the blue, I heard my name called, and I had won runner up for my age group! That whole day changed my mindset on how I respond to missing my goals. My dream goal is still to get that sub 30, but I no longer think I've failed, if I don't make it. Saturday I ran a 5k with some kids from my youth group. Again, it was a small race, but I surely wasn't expecting to win anything. My time was 34 minutes, so I didn't even consider it a possibility. So I was shocked once again when they called my name! I won 3rd place in my age group (30-39). My buddy Tyler won first place overall, in 18 minutes, and Mikayla also won an age group award. It was so much fun! After cleaning up after the race Jeremy took me out and spoiled me for Mothers Day. 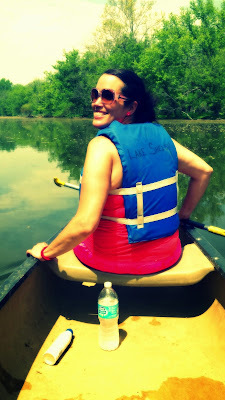 First we went canoeing. 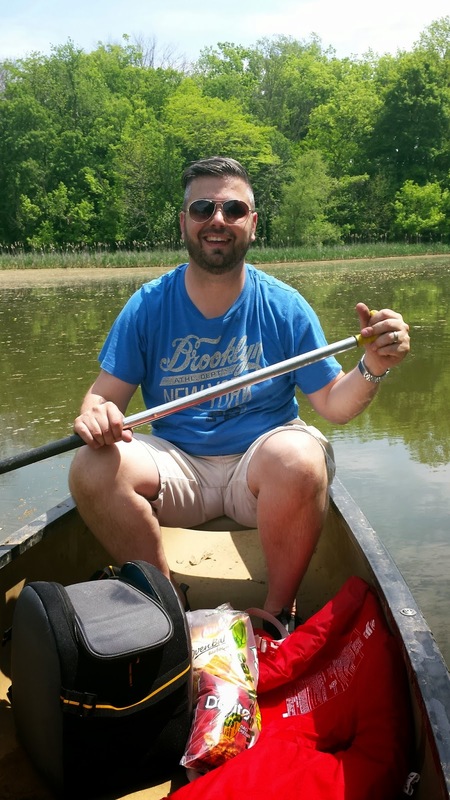 I wanted to redeem my last traumatic canoeing experience from a few years ago, and I did. There was no hyperventilating or freaking out involved this time. It was lovely. 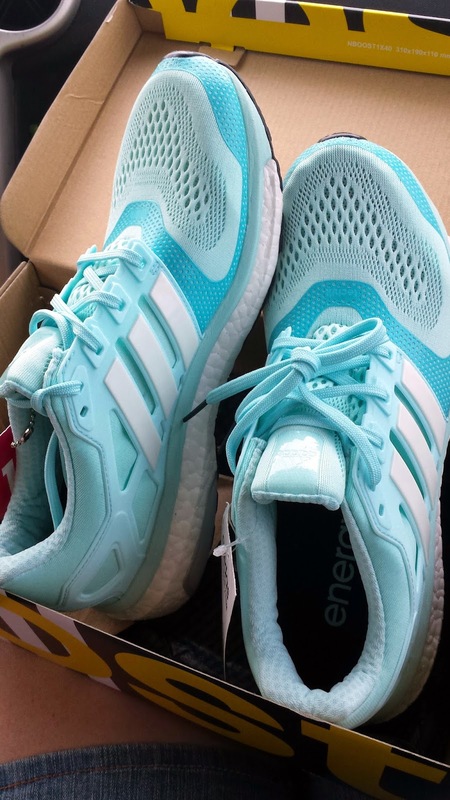 Then he bought me some new running shoes. That's the way to my heart! 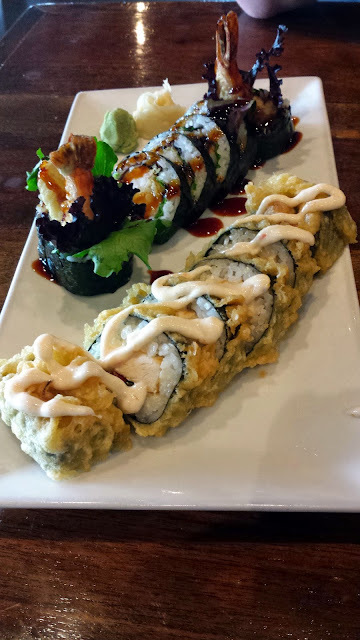 We then went to a little restaurant for the most delicious sushi I've ever had, and some ice cream. Another way to my heart. He's a good man. Did you run or race this weekend? I love my Energy Boosts! Too bad they are white and get dirty so easily! Thumbs up for new shoes!!!! I have been canoeing a few times, and every time I have a mini meltdown too. I've been getting better about having said mini meltdown in my head now, but canoes just plain make me panic. I too have a sub 30 5k goal....someday. Oh, I'm glad I'm not the only one! Lol! Girl, we'll get our sub 30 someday, I just know it!! YAY, congrats on the 3rd place!!!! Woot Woot!!! Very cool!!!!!! 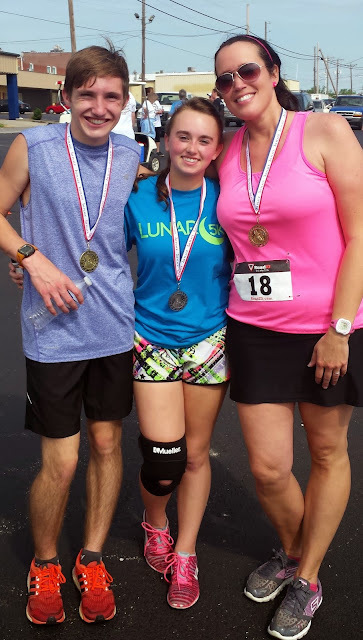 Great looking shoes... congratulations on placing in your age group! congrats!! Sounds like an awesome weekend with the hubby! Thanks Sue, it sure was!